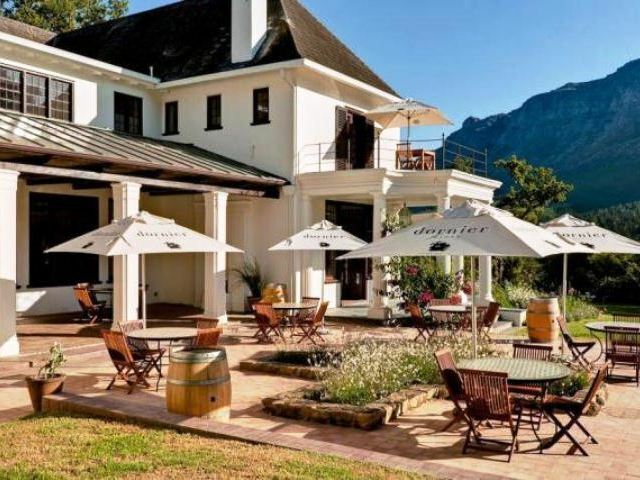 The Dornier Homestead is part of a large and beautiful estate located 8 km from Stellenbosch. 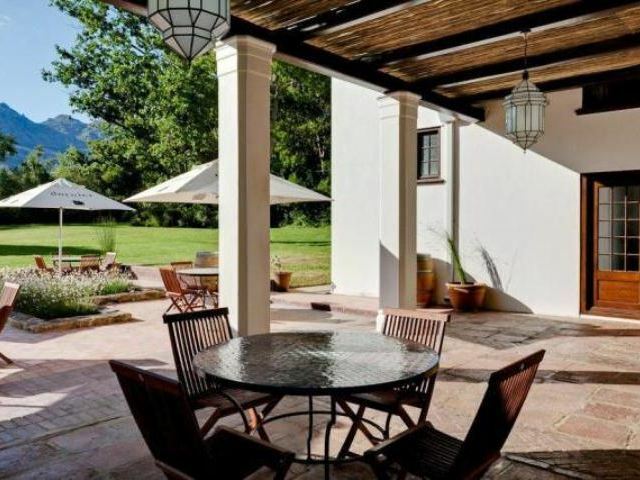 The homestead is an original Sir Herbert Baker design in a tranquil country setting The Dornier Homestead is part of a large and beautiful estate located 8 km from Stellenbosch. 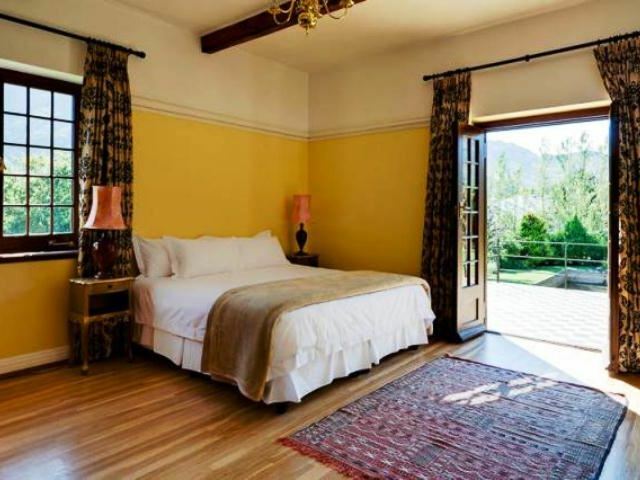 The homestead is an original Sir Herbert Baker design in a tranquil country setting amidst the Helderberg and Stellenbosch mountains, as well as the Dornier Vineyards. There are three elegant bedrooms with inter-leading rooms that can accommodate up to 12 guests. The Yellow Suite is located on the first floor and features a private balcony and a comfortable sitting room. 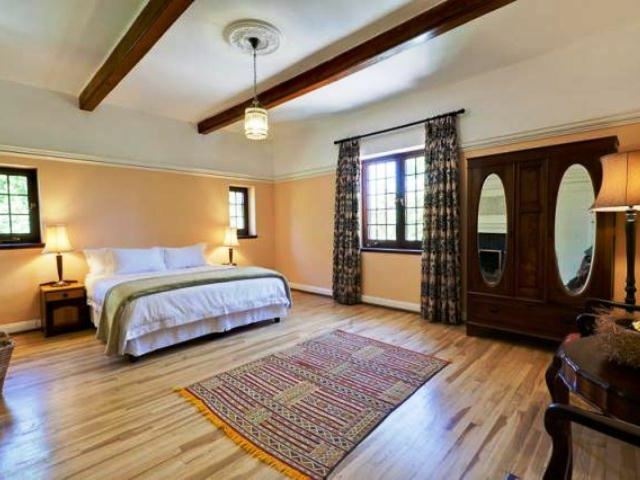 The bedroom offers a king-size bed and an en-suite bathroom with a bath and shower. The room is also directly linked to the Green Room for larger groups, at an additional cost. The large Peach Suite is on the first floor and it offers a king-size bed. 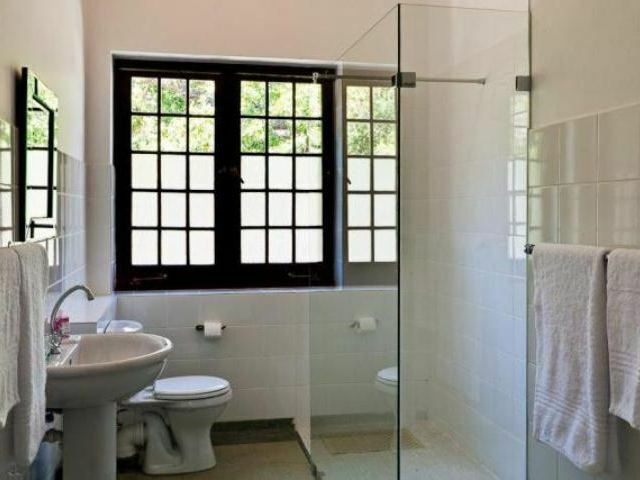 The room has an en-suite bathroom with a shower only and it can link to the White Room, which can be set up as double or twin, at an additional cost on request. 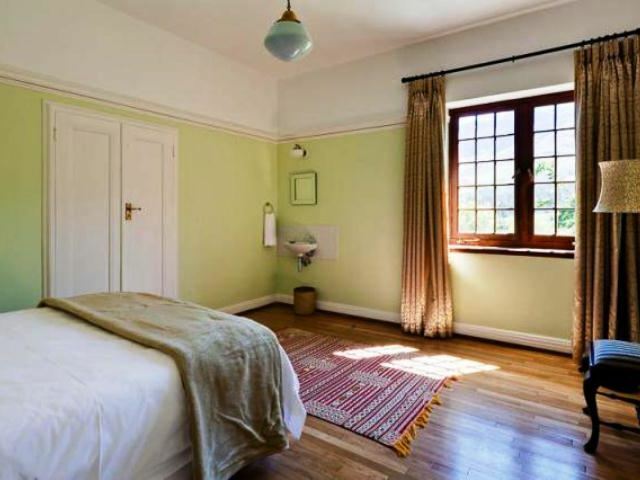 Enjoying views of the garden, Dornier Vineyards and the Stellenbosch Mountains, the Pink Room has a king size bed which can convert into twin beds on request. The room can link to the Mint Room and it makes use of a separate bathroom on the landing. Tea and coffee facilities are available on the landing which guests would share. 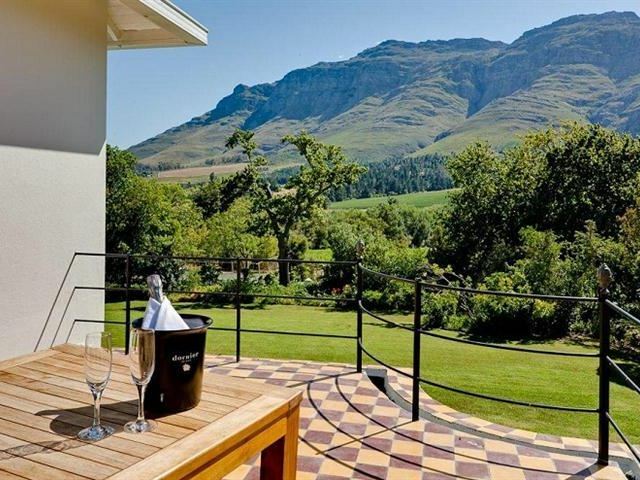 Guests have complimentary Wi-Fi Internet access and the rooms enjoy lovely garden, mountain or vineyard views. The homestead has beautiful lounge areas and gardens for our guests enjoyment. It is located within a short walk of the Dornier Bodega Restaurant and wine lounge where you can taste our award winning wines everyday from 10h00 until 17h00, and lunch from 11h30 until 15h00 or tapas from 15h00 until 17h00, Wednesday to Sunday in winter and 12h00 until 16h00 for lunch and 16h00 until 19h00, 7 days a week in summer. Booking is recommended. Please note that our rates do not include breakfast which can be arranged on request for R75 per person. We held our wedding here and rented the Homestead for three nights. Coming from abroad we had a lot to do in order to get things set up and prepared. Thankfully Lianndi (The Manager/Coordinator) had stepped in and coordinated with vendors to ensure everything ran smoothly and looked incredible! Although the homestead was older, it was an authentic, relaxing experience with amazing staff who ensured we had everything we needed. A very underrated venue with astounding views for a wedding and incredible scenery for photos. The food was absolutely delicious and did not disappoint. All our food, cake and even macaroons were provided for by the restaurant and nothing disappointed. Thanks to all the staff for making this such an easy, stress-free experience! Amazing food totally blew us away. Kids had a blast. A must on the bucket list. Beautiful views, beautiful wines and great food . But best of all the great food prepared by a female chef. Definitely a must when you in Stellenbosh. Absolutely nothing is wrong about this restaurant. Interesting food and brilliant food. Family friendly 5 star restaurant. The food was unparalleled. I love kitchens that are brave enough to experiment with explosions of flavours in the mouth, as opposed to staying safe and playing simple. A pleasant surprise indeed. We really like this place. For several reasons and have been back many times. Food, wine and service is top notch. Kids friendly. Recommended. Beetroot seared Salmon was good but imho a bit less than 5-6 major taste components (+ the salmon) would make it a much better salmon dish. Rather a general issue though, since the "less is more" principle seems to not have reached SA yet. Same with the sea brass that was excellent but hard to enjoy with uncounted other components that were meant to accompany it but actually rather impeded it. Service by a top expert in every sense. Dornier's Chenin Blanc "Moordenarskloof" with its subtle barrel fermentation note an its harmonicly embedded acidity was wonderful and went very well with both dishes. Maintaining the gardens on the estate. Always a privilege being on the farm. Beautiful setting and ambiance. A favorite with the friendliest people, the best view and tastiest food. 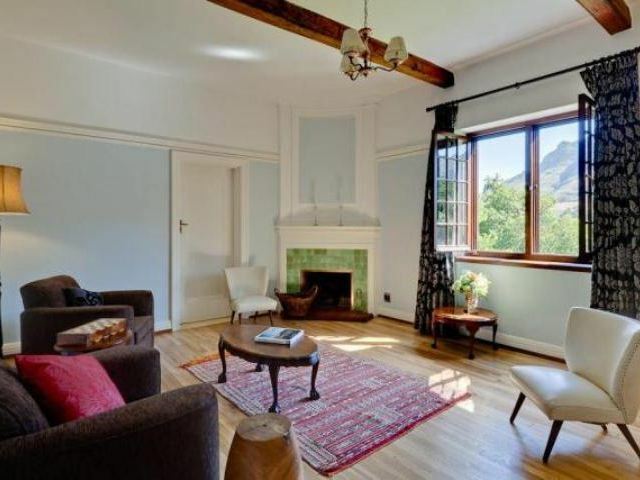 Great family friendly place in a very beautiful and peaceful spot in Stellenbosch. Obviously with great wines on the very reasonably priced menue but besides that also very interesting selection of local beers. Always worth a lunch stop over! "Guided tour of the wine cellars"
Breakfast could be improved: add fruit juice; croissant and bread used for toast were very poor. Friendly service very much appreciated. Request a quote from The Dornier Homestead at no obligation.